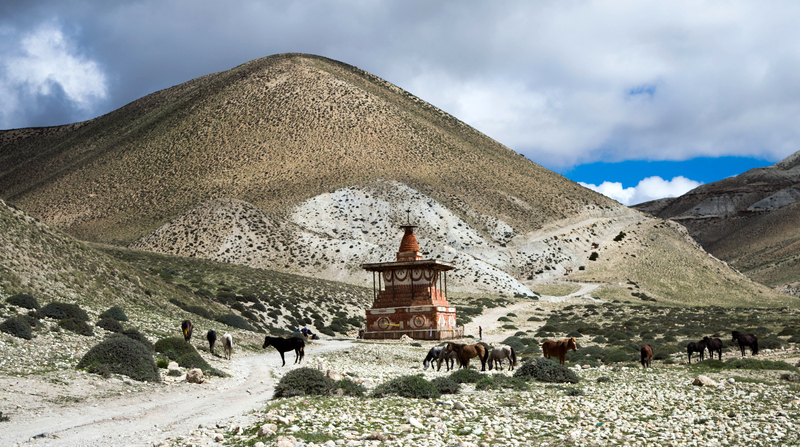 Old Kingdom of Mustang Trek is a classic adventure full of natural and cultural wonders! This mystic land lies on the highest and largest extension of the Tibetan plateau. As you fly from Kathmandu to Jomsom via Pokhara airport, you take a trail up to upper Mustang through an arid landscape which was the ancient trading route between Nepal and Tibet. In fact, you can find a strong influence of Tibetan culture and lifestyle in this area. When you walk forward through the trail, you will notice variation in the environment that turns dry from lush. As you move higher, the trees will grow thinner and thinner. Therefore, you will find thin forest of few juniper trees and bushes.